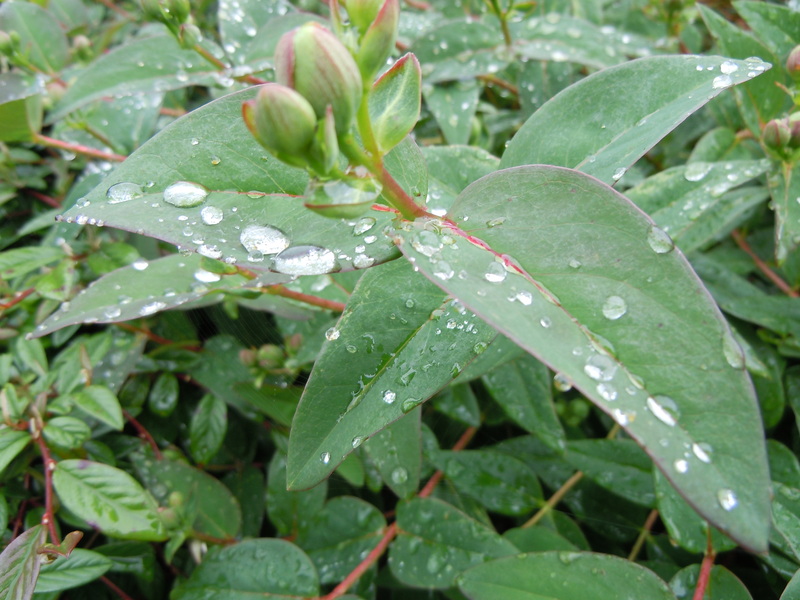 Out in the garden to refill the bird feeders I was beguiled by the raindrops on a shrub. 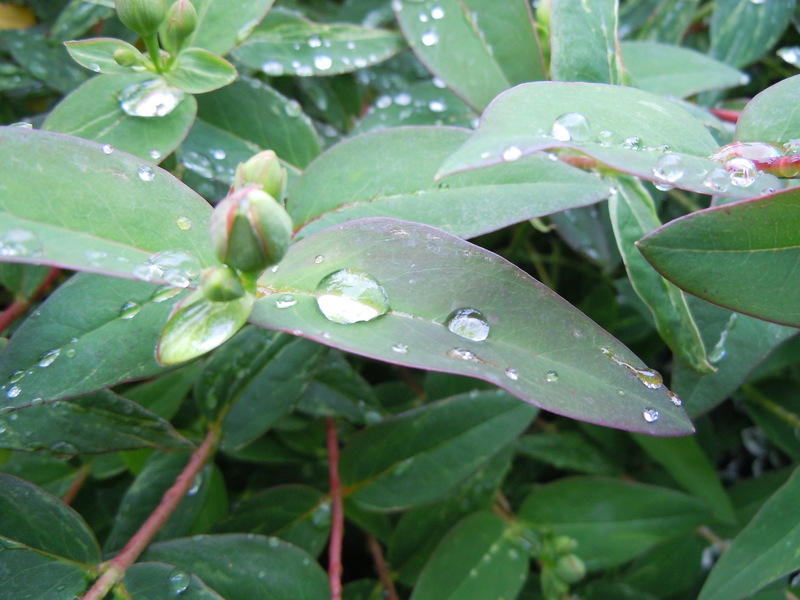 The Hypericum Calycinum looked so beautiful after the rain. Memories are funny things. The older one gets, the more vivid they become, especially when related to things that happened long ago. I was sitting and thinking about nothing in particular, when a childhood memory flashed up from somewhere in my brain and there I was, about eight years old, sloshing through puddles in a yellow raincoat with matching sou’wester hat and black wellington boots. The turned-down broad brim protecting my face and the back of my neck from the rain which was falling like sheets of pins, like the ones my mother used when pinning paper patterns to the material she somehow turned into dresses and things for me, and for herself. This particular memory resurrected itself while I was in Pershore a couple of months ago, house-sitting for my daughter and looking after her elderly dog plus two doves because she and my grandson were in Sussex at the wedding of her goddaughter and his childhood friend. It was Saturday morning. I had ventured as far as the garden intending to get a few things at the local shops but changed my mind as the first large drops fell just as I reached the gate, even so, I got soaked to the skin by the time I had got back to the door. It was while I was sitting, watching the water swirling along the footpath and road outside the front window that the memory flooded back. Funny How One Thing Leads To Another.